No matter the type of facility you are managing, it is important to have an HVAC company you can rely on. 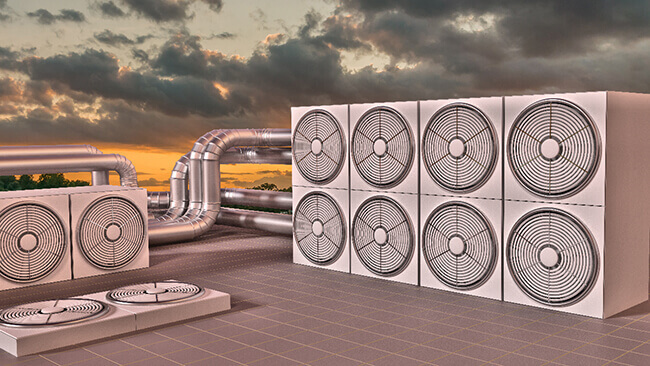 While reliability is important, there are many other factors that go into choosing the right HVAC company for you and the facility you are managing. Meeting the needs of your equipment is just one of those factors. Here is our Facility Manager’s Guide to HVAC companies. Never be afraid to ask for credentials. What education, certifications, and licensing do the company require technicians to have? Some examples are a Journeyman’s License or belonging to a reputable union. An example here in Maryland is the Local 5 Plumbers Union or the Local 602 Steam Fitter’s Union. A technician must demonstrate unsurpassed customer support, quality workmanship, plus safe and reliable service to obtain a Journeyman’s License. Many companies also require criminal background checks. This could offer peace of mind, as the technician will have access to sensitive equipment and areas of your facility, especially in government contracts. Ask what sort of insurance the company holds. Never hire an HVAC contractor that does not have acceptable liability insurance. This will protect you in the event a technician inadvertently causes damage to your property, or causes the injury to an employee or customer at your facility. Check if they have Worker’s Comp to ensure you won’t be responsible if a technician gets injured on your property. It is crucial an HVAC company knows building codes inside and out, particularly if hired for an installation or upgrade to a current system. Your contractor should handle the permits and paperwork, as well as any inspections. When they take the initiative, they will be sure the work is up to code, helping you avoid failed inspections or delays. Nothing is worse than a project stops due to a company has to keep ordering parts that they do not have in stock. Or, if they do not have the correct equipment to diagnose the problem correctly. Therefore, completing unnecessary, costly repairs. You do not want to get stuck in the cold without heat, or without A/C in a heat wave. In addition, make sure your company sufficiently stocks their trucks or has easy access to equipment, parts, and tools. Today’s number one HVAC concern for facility managers is energy savings. With more companies going green, they are also seeking sustainable alternatives. As a result, a modern HVAC company should make recommendations for energy efficient equipment, modifications, and upgrades. Suggestions need to include ways to retrofit older systems or show you how to save with a regular maintenance schedule. It is to your advantage to employ an HVAC company that can envision your whole system and look to the future. You want a company that works with you to formulate the best strategy for the needs of your business. Make sure they are willing to take the time and work with your budget. Most noteworthy, safety must always be a priority. Hence, you also want to ensure the technician will be respectful of your space. Ask the HVAC company about the policies and procedures regarding preventing carbon monoxide and refrigerant leaks, and their accident prevention practices. In conclusion, the best HVAC company offers the expertise to solve your heating and cooling issues quickly and reliably. But you also want a company that offers great customer service and is easy to do business with. The Severn Group vows to work with you to formulate the best heating and cooling strategy to save you money.